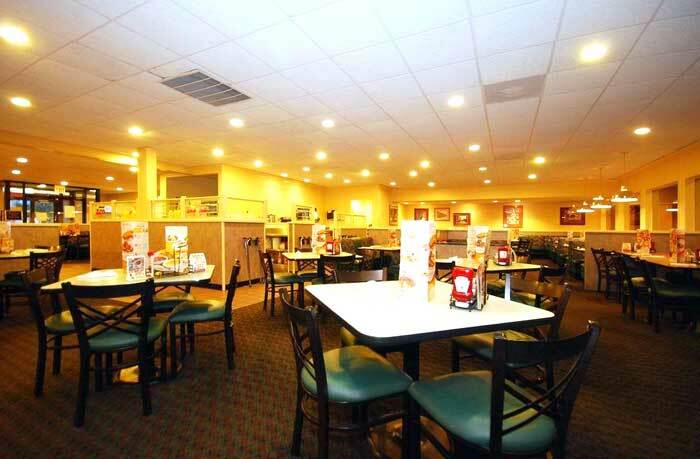 Welcome to Best Western Gateway in Savannah Ga.
Denny's Restaurant is on site with complete menus. Short drive to Savannah Historic District and Mighty 8th Air Force Museum. Discover our pet-friendly Savannah hotel located near The Historic District of Savannah, the Mighty 8th Air Force Museum, Fort Stewart, Tybee Island and more. Enjoy Southern hospitality and clean, spacious accommodations at the BEST WESTERN Savannah Gateway. Centrally located off of Interstate 95 in Chatham County, our pet-friendly Savannah hotel proudly offers well-appointed guest rooms and exclusive hotel amenities. Each guest room features cable TV with CNN®, ESPN®, and HBO® channels and high-speed wireless Internet access. Wake up to a free full hot breakfast every morning that offers waffles, biscuits and gravy, hard boiled eggs, fruit, cereal, muffins and much more! Free USA Today newspapers are available in the lobby Monday through Friday and guests are welcome to use the oversized outdoor swimming pool located on site. Guests also receive discount golf rates at Henderson Golf Course, located adjacent to the hotel. This Eastern Georgia hotel offers an on-site 24 hour restaurant serving delicious meals to suit any taste. Other hotel amenities include pet-friendly rooms, a complimentary full hot breakfast and business services. Minutes from the hotel, guests will find a variety of local restaurants and shops including the Harley Davidson Store, Savannah Mall, Tanger Outlets Mall® and more. Only 12 miles from The Historic District of Savannah, guests can tour the many historical sites of this true Southern city. Spend an afternoon at the Mighty 8th Air Force Museum or walk around downtown's River Street. Tybee Island and the Tybee Island Beaches are just a 25 mile day trip away, perfect for a relaxing day in the sun. Other nearby attractions includes Fort Stewart, SCAD and the Hunter Army Air Field. Savannah also hosts an outstanding St. Patrick's Day celebration each year that is fun for both locals and visitors! The friendly, helpful staff at the BEST WESTERN Savannah Gateway is ready to ensure a fun-filled, memorable stay at our pet-friendly hotel. Activities : I Savannah, Ga., where there's always plenty to see and do. With its unique squares, well-preserved history, fascinating architecture, natural beauty and mild climate, Savannah is a splendid spot for all of your leisure activities. Airport : Savannah/Hilton Head International Airport 400 Airways Ave, Savannah, GA 31408 (912) 964-0514 The Savannah Airport Commission is charged with the operation and management of Savannah/Hilton Head International. Founded in March 1955, the body is composed of a five-member commission appointed by the Mayor and City Council of Savannah. Commission members serve five-year terms. Attractions :Take a stroll through the squares or relax on a bench on the riverfront plaza and watch the ocean going ships glide by. Spend a nice quiet evening sitting on a marshside dock being serenaded by the wildlife. So take life easy and enjoy it here in beautiful Savannah, Ga. Dining : Is all the sightseeing is making you hungry? Guess what, you're in luck! From fine dining in sumptuous surroundings to laid-back evening meals at rustic waterside settings, Savannah has much to offer those seeking superb country food. Events : Are you looking for the best Savannah events and attractions? With the many art exhibits and live entertainment at City Market, fun-filled festivities on historic River Street, amazing SCAD art festivals, private home tours, thrilling sports events, and the famous Savannah Music Festival, there is always something fun and exciting going on in Savannah. Golf : Want to play a few rounds of golf while vacationing in Savannah? Savannah is home to many great golf courses including a championship course at the Westin Savannah Harbor Golf Resort and Spa. Government : Savannah's City government adopted a council / manager form of government in 1954. The current City Council, which consists of the Mayor and eight Aldermen, levies taxes, enacts ordinances, adopts the annual budget, and appoints the City Manager. Hospitals : Highly regarded as THE premier health provider in the region, St. Joseph's/Candler (SJ/C) combines high-impact technology, breakthrough clinical treatments and time-honored compassionate care to create "smart medicine"-an innovative approach to health and well-being. Shopping :You'll want to make time for shopping during your stay in Savannah, Ga. Stay in the Historic District and discover the antique stores and specialty shops dotting the area. They're not really that hard to locate — many are concentrated on historic River Street, in City Market or along Broughton Street. Other clusters of boutiques can be found in retail pockets such as the Downtown Design District at Jones and Whitaker streets, the Starland Design District on Bull Street north of Victory Drive, and around Wright Square. University : For 126 years, Savannah State University has been an important part of higher education. As the oldest public HBCU in Georgia and the oldest institution of higher learning in the historic city of Savannah, SSU has served this community with distinction while meeting the educational needs of an increasingly diverse student population. Wineries : With Savannah's subtropical climate you'll love of getting together with friends and having a good time. Roads lined with vineyards, rolling hills, a light breeze, and blue, blue skies. A feeling of peace sets in. With more than 40 different wineries to choose from, there is a Georgia wine that pairs well with every palate!